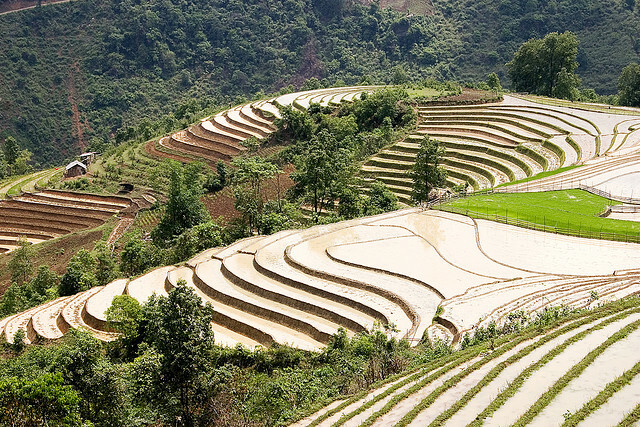 In order to make the best of poor soil, water conservation, and mountainous terrain, terraced farming was introduced by various cultures around the world. Extremely labor intensive to build, terracing allowed the land to support civilization’s increased need for crops, livestock and poultry. Erosion was avoided, rain and runoff water was preserved, and otherwise unused hillside became arable due to terraced agriculture. Not only do these terraced fields provide essential goods for the local people but they also feature some of the most spectacular landscapes in the world.